Storage Bin Box made of 18-gauge AISI 304. 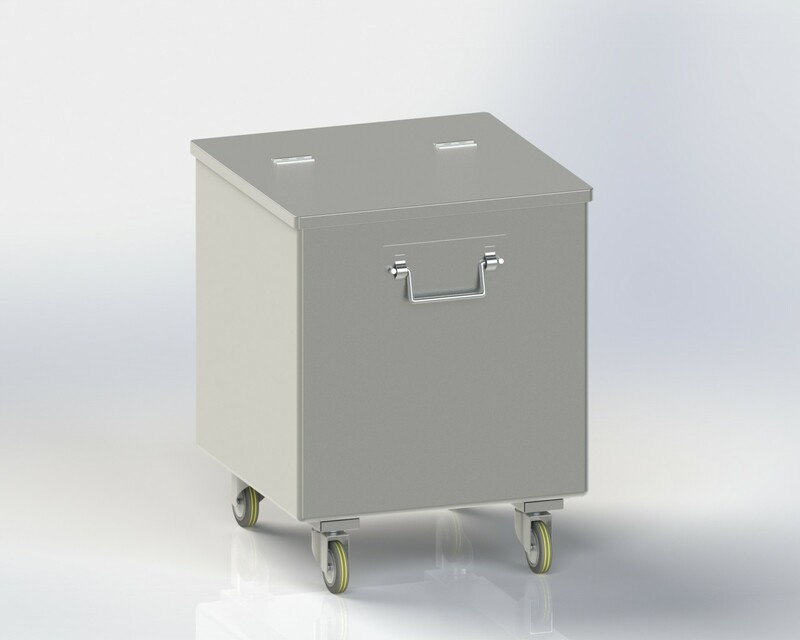 Bin Box can be mounted on 4”4nos. Castor wheels with SS 16 Gauge Hat Type Channel. Lid can be also made of 18-gauge AISI 304.